One year ago, my dear father-in-law passed away. Our emotions were raw, our energy was depleted, yet we knew we wanted to honor him, his life and the love he gave others. 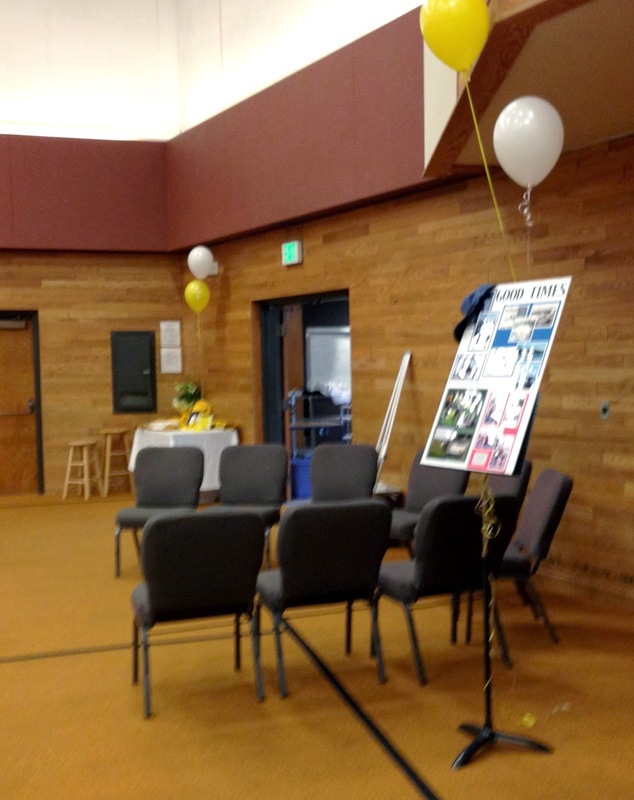 Decorating for a memorial service and reception was never a blog post I thought I'd be writing. But here I am, a year later, putting words on a page. My heart aches as I remember these details. My father-in-law passed away with brain cancer at age 74. 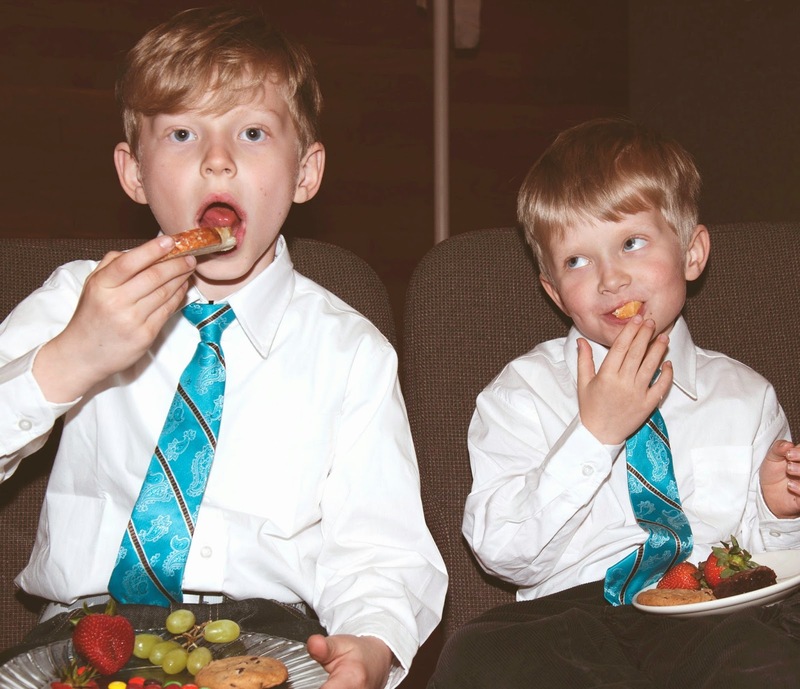 My party planning skills were put to the test to help my husband's family pull off a service in less than a week. I learned so much in the process that I decided I MUST blog about it...just so I had all the information written down. I know there will be a time when I will need to plan another one...I'm just praying that it will not come too soon. The service was held in the sanctuary of our church. 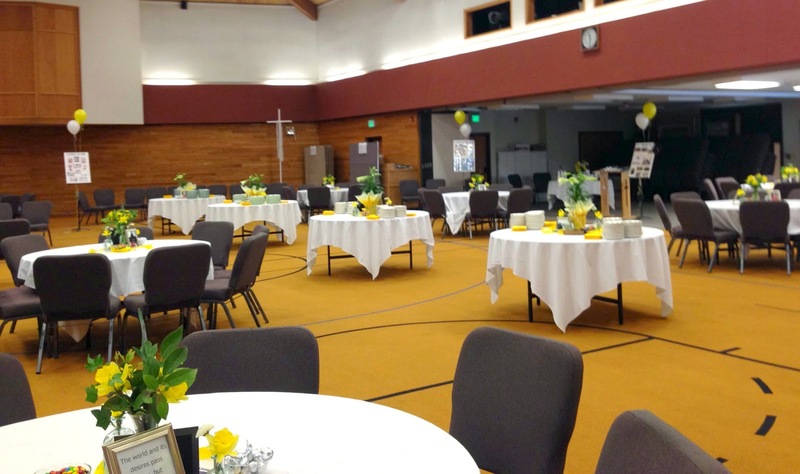 The reception was in the 'family center' of the church, otherwise known as the gym. 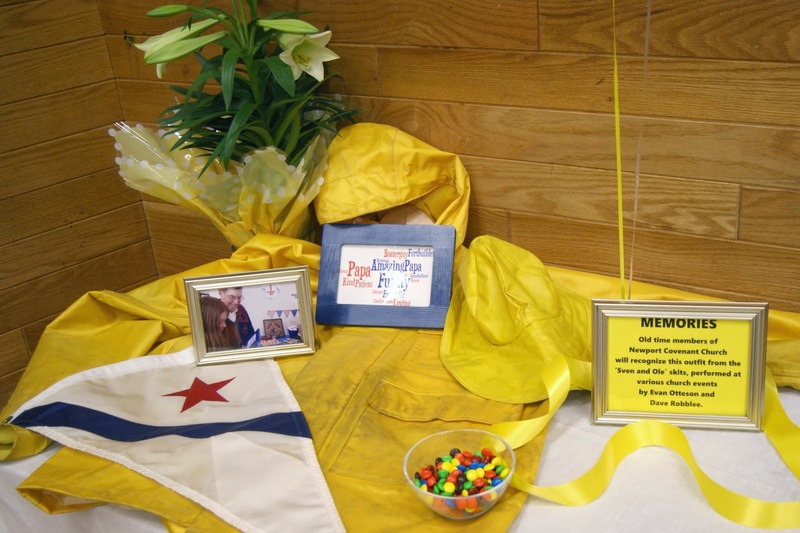 I've actually decorated the gym a few times (click here, here and here) before, but never for a memorial service. 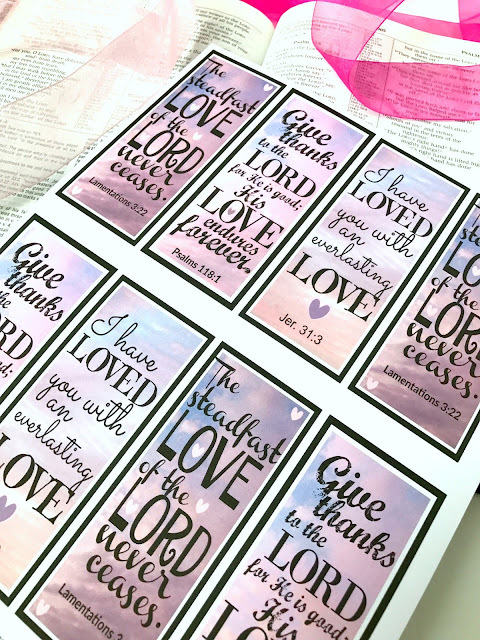 Here's a few tips and tricks if you ever find yourself needing to decorate and plan for a memorial service. 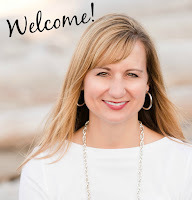 Ask--What does the spouse and/or family want? My mother-in-law had specific things and a specific 'feel' she wanted to have at the service and reception. I took down her requests and started working on each one. She asked for the service to be a Celebration of Life, not a sad, dark funeral. 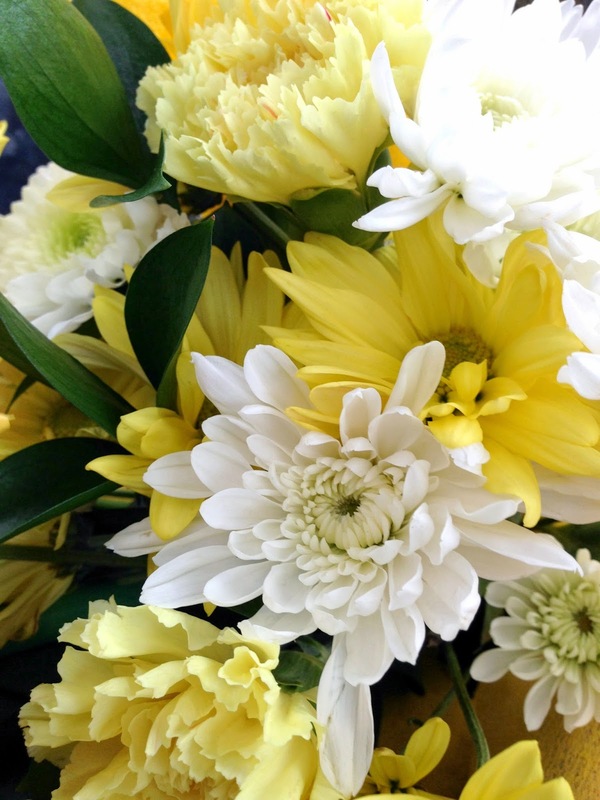 Bright yellow and white colors were requested with lots of Easter lily flowers. 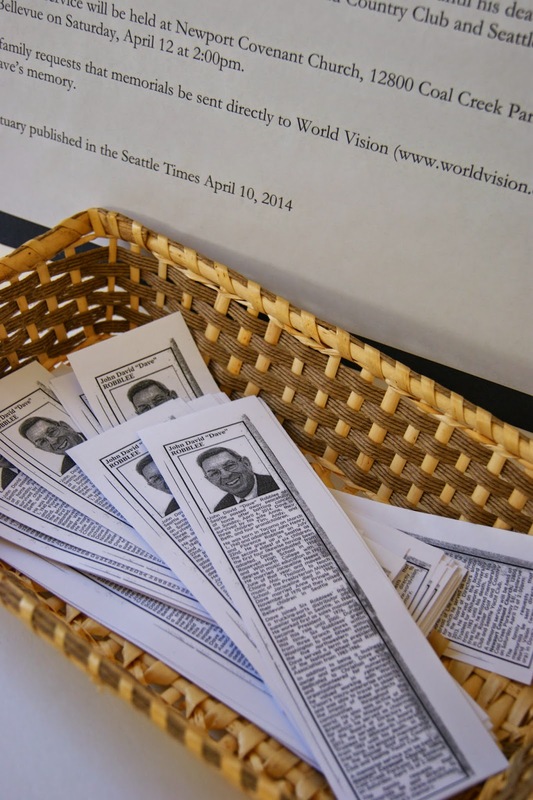 The cross, special scriptures and pictures were to be displayed. 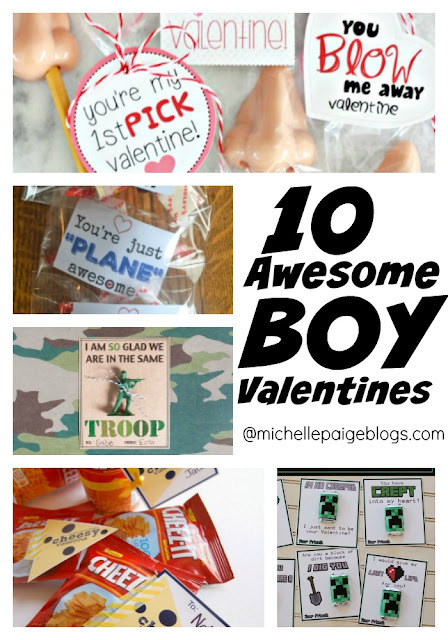 Chocolates, especially M&M's should be included (his favorite!). 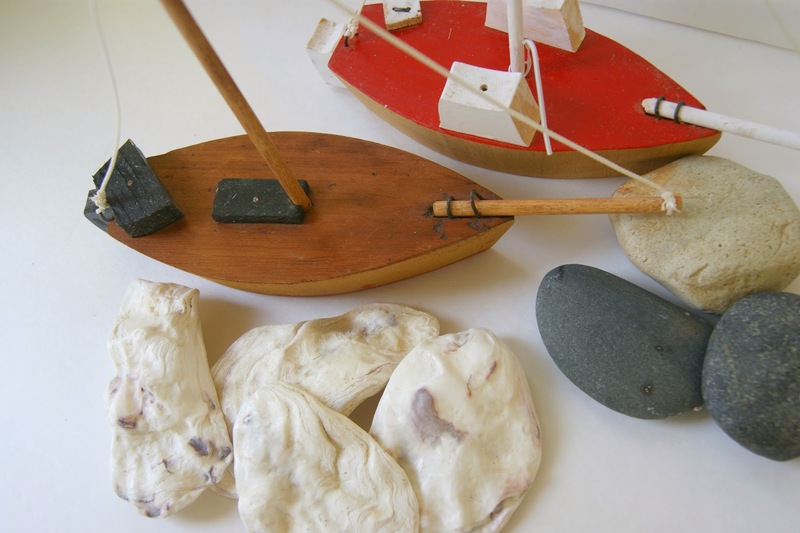 Shells and rocks from Camano Island, and even a few boating pieces should be included (more of his favorites!). Balloons- because this was a celebration! She requested refreshments and sweets, not a sit down meal. Some tables to be set up for people to sit, drink coffee and reminisce. Nothing too fancy, no boating or golf theme, just bright. I loved her ideas...now, I had direction...I was ready to get started! I made sure the church knew our needs. 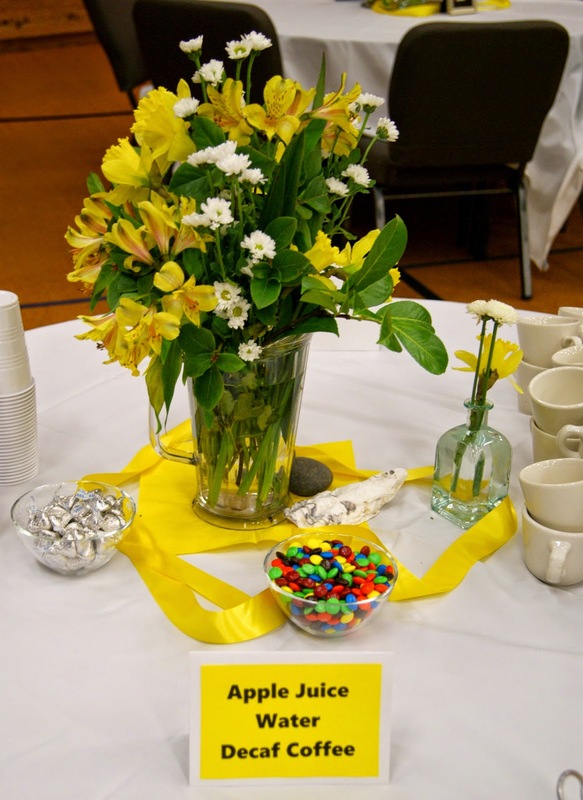 Table arrangements, room set up, kitchen accessibility, times, bulletin announcement, etc. I immediately set out to find supplies. 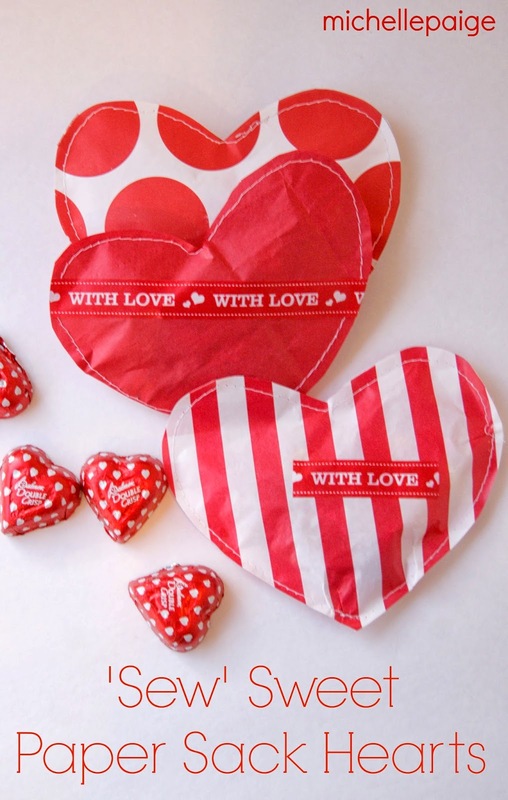 The ribbon, napkins and balloons were purchased at the Party Store. 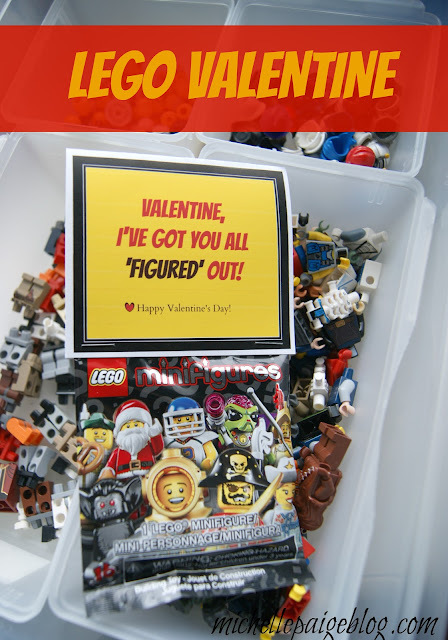 I also purchased poster boards and frames at the Dollar Store and a few baskets from Goodwill. Candies, juices and plastic cups were purchased at Costco. I hit all the grocery stores in our area and purchased Easter lilies wrapped in yellow cellophane. 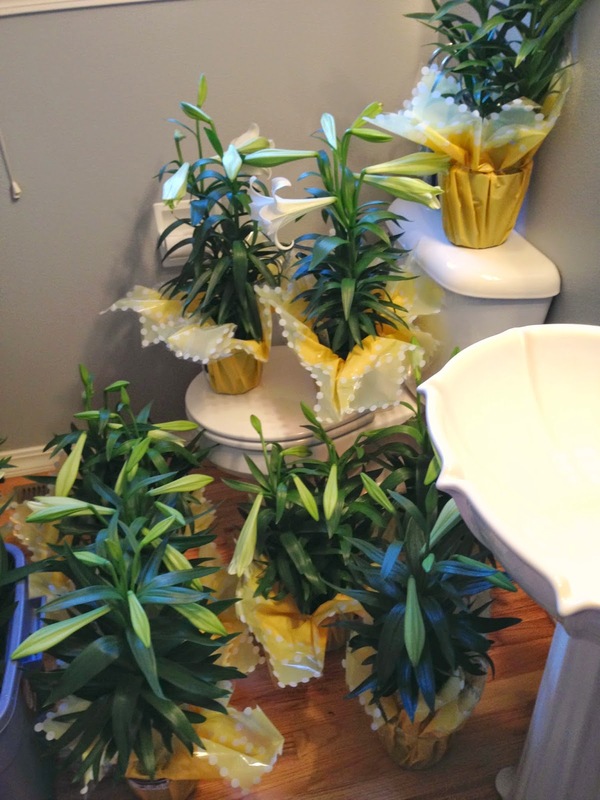 (This was the week before Easter and lilies were on sale.) I bought plants with the lilies closed, thinking they would open in time for the service. The night before the service I was freaking out that the lilies were still closed! I put all 20 of them in our tiny bathroom and turned on space heaters, hoping the warmth would help open them! It only helped a little. Later, I learned that many people are allergic to lilies, and it was probably for the best that they weren't all open. We did cut the stamens out of each open lily to help with the smell. 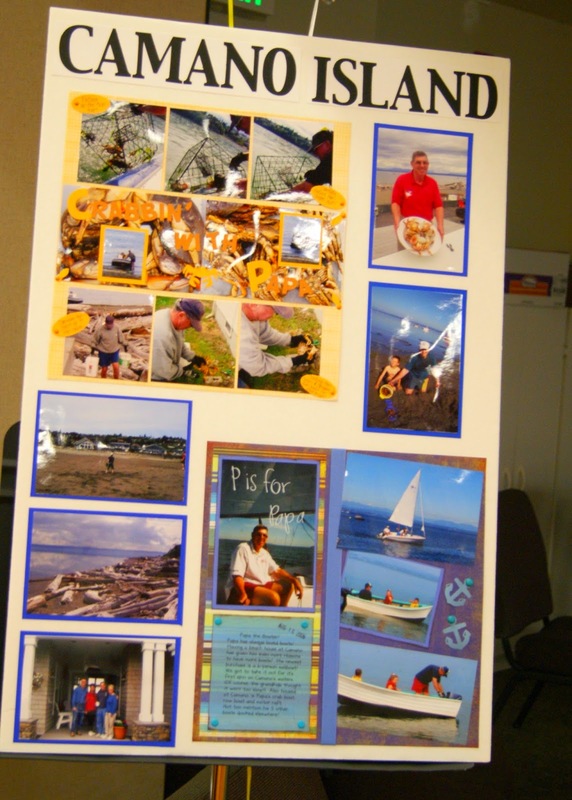 While my sister-in-law put together 2 amazing slide shows of pictures to be played during the service, I made poster boards of pictures for the guests to linger over, during the reception. This also filled the room and added much needed color to our large space. Dollar Store foam boards worked perfectly. My mother-in-law gathered pictures from 7 areas of his life. It was important to show as many 'special people' (family, close friends, etc.) as possible with my father-in-law...these people would be the ones attending the service. Early Years- My father-in-law was adopted, so those early years photos are very special. Family- newly married and raising kids. Extended Family- 5 siblings, lots of cousins, 3 children, 4 grandkids, etc. Adopted Family- close family friends that are called family. Camano Island- a very special place for my father-in-law. Business- business friends and coworkers. 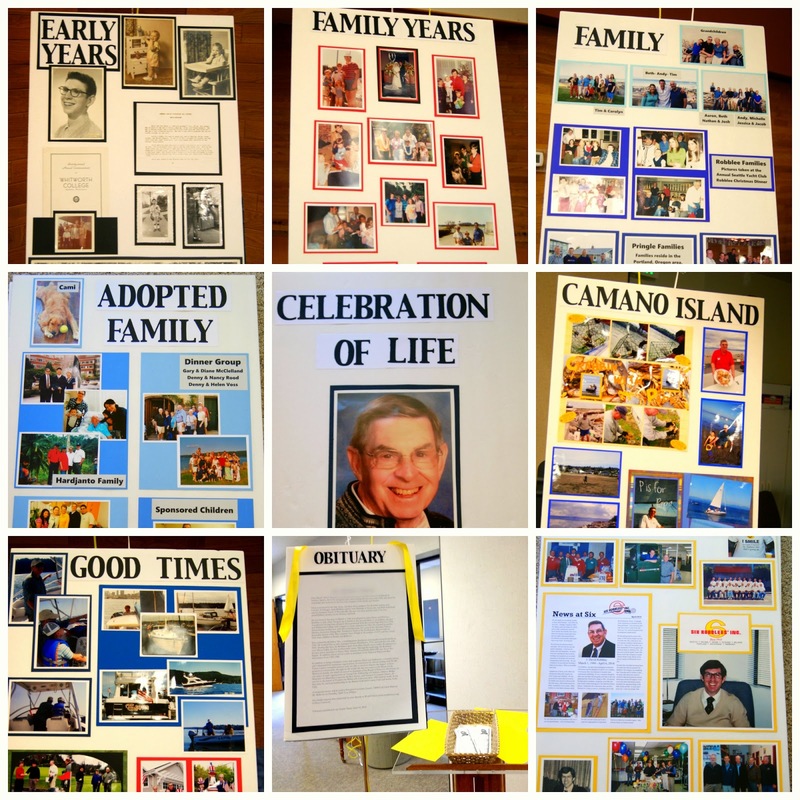 Obituary- I enlarged the obituary to the size of a poster board for easy reading. 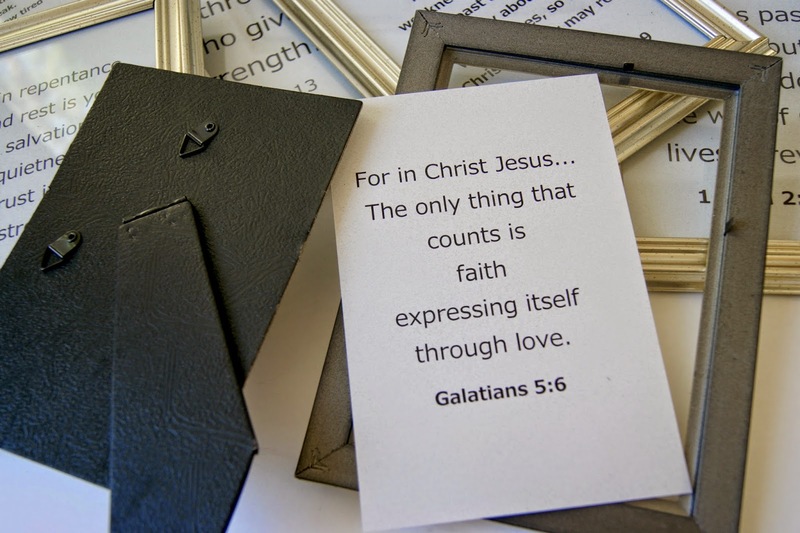 I printed out all the special scriptures that my mother-in-law requested and put them in 5x7" frames from the Dollar Store. I bought smaller frames for more pictures. 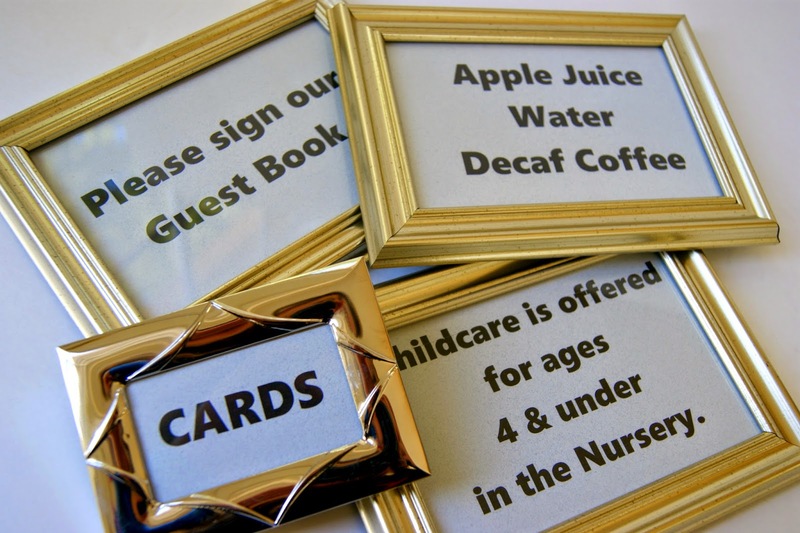 I also printed and framed label signs that we needed: refreshments, guest book, childcare, cards, etc. 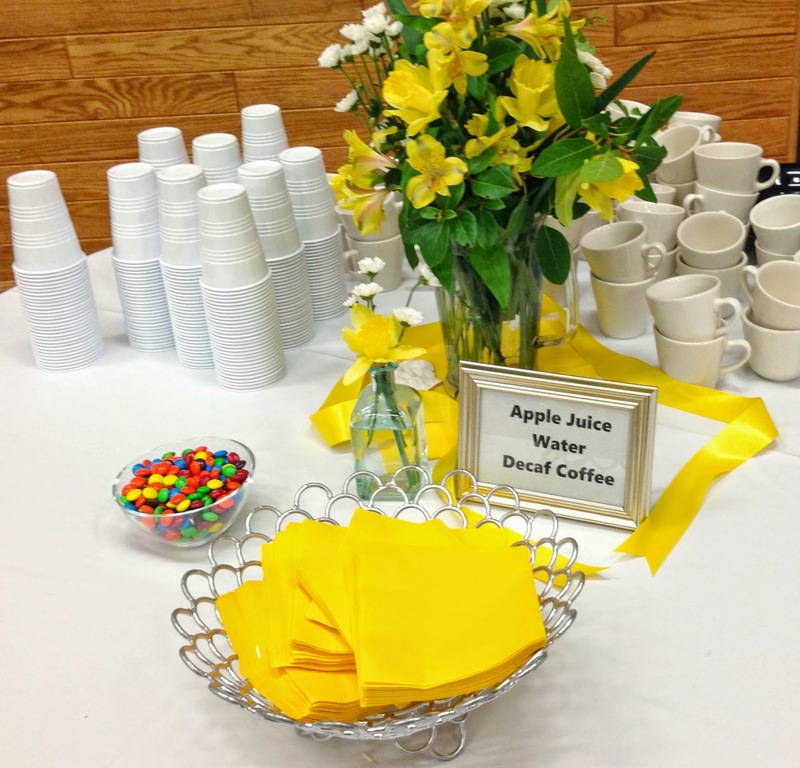 A 2pm afternoon service was scheduled, which meant only fruit and sweets would be served at the reception. 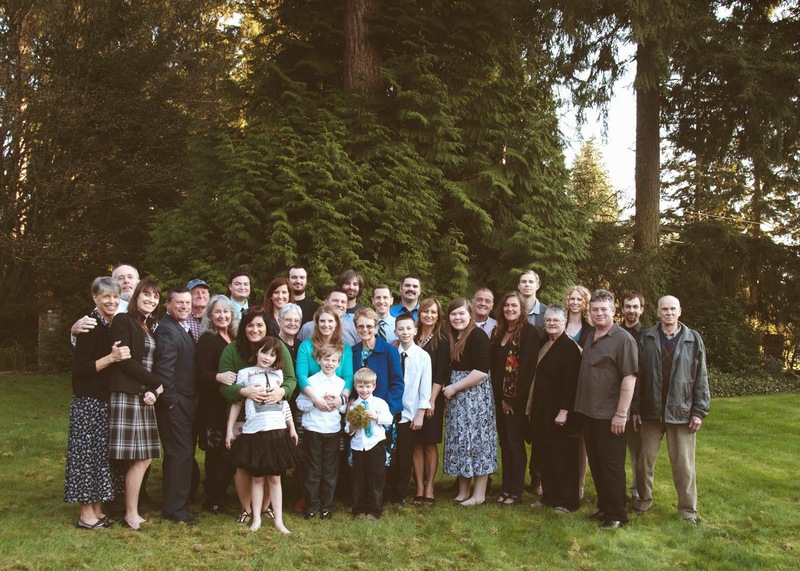 (We had a special dinner gathering after the reception for the many family members who were in town.) Friends and church members asked to help and I took them up on their offers to bring fruit, cookies and candies. One dear church friend made many, many loaves of fresh, buttered cardamom bread! Many others offered to help set up and clean up. I put everyone to work! 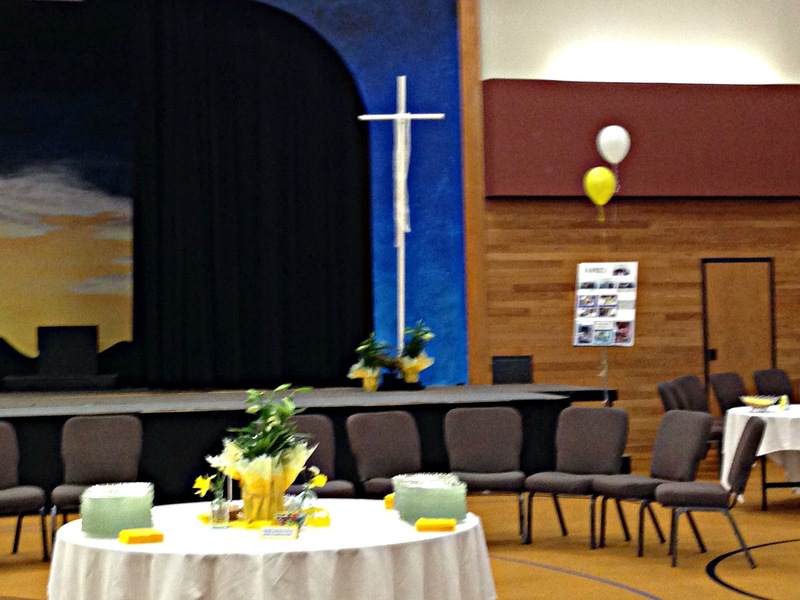 We scheduled an early morning set up before the service. 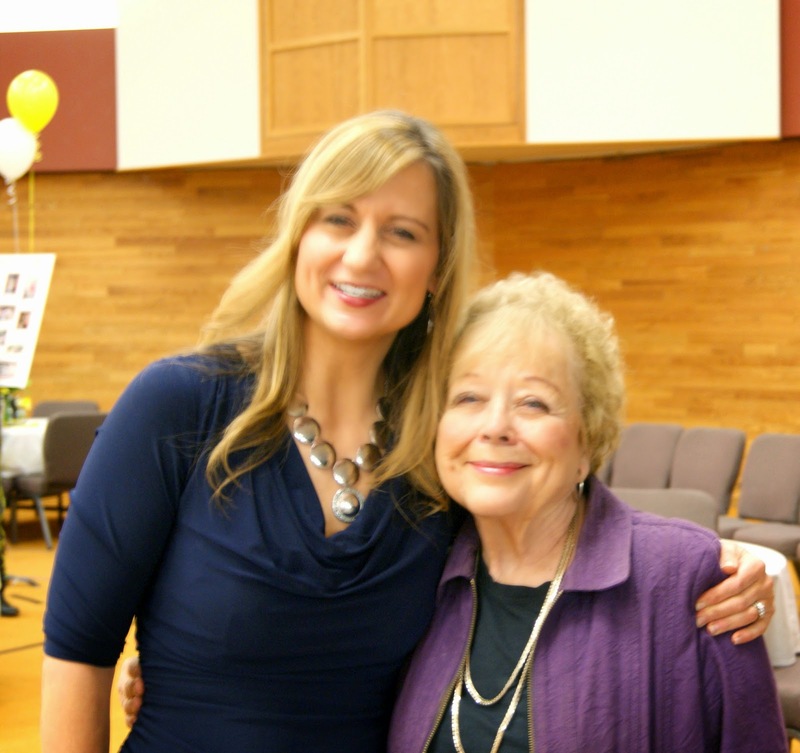 Our church has a volunteer memorial coordinator, that helped me immensely! Mary Lu was my angel. 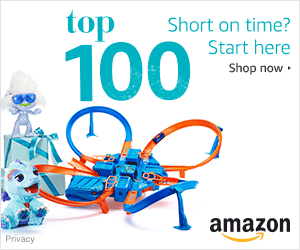 Find an angel to help you! Mary Lu was able to help coordinate the food and coffee and I didn't have to worry about a thing while the service and reception was happening. She also coordinated all the clean up! I got to be with my family-- what a gift! I kept records of everyone that helped and contributed. Later after a few days had passed, we had a 'thank you note writing get-together' at my mother-in-law's house. 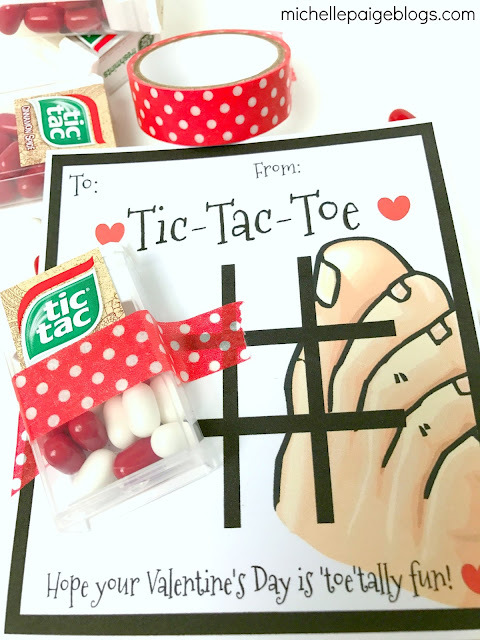 We wrote many, many thank you's together. I scheduled the helpers to arrive around 9am. I had snacks and waters available for them. After unloading the vehicles (crammed full of flowers and balloons! ), I put them to work decorating. 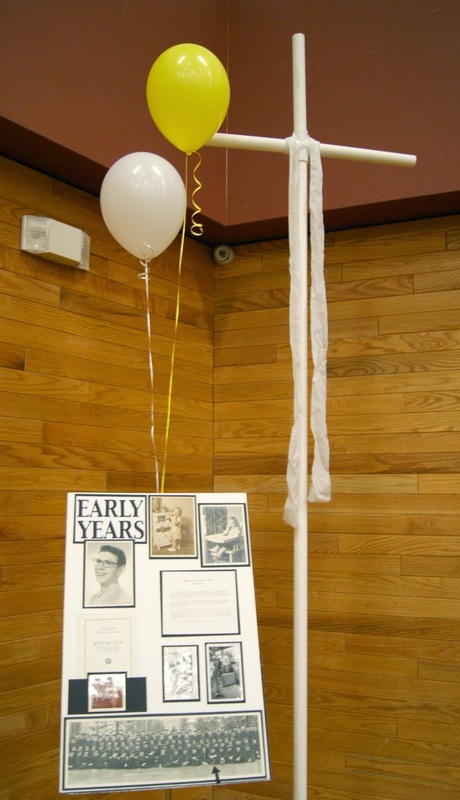 Each poster board was placed around the room on music stands. We tied balloons to each one as well. The crosses were made by one of our pastors. They were constructed from pvc pipes and are displayed in the church's parking lot every Easter. We moved them inside and around the room for the reception. 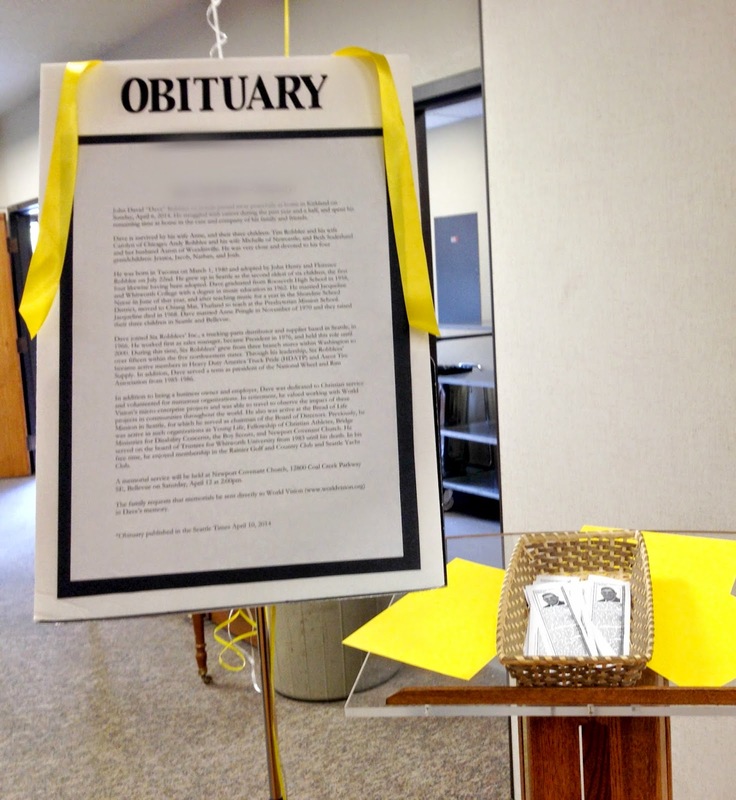 Next to the Obituary poster board, I placed copies of the printed obituary from the newspaper, for guests to take home. 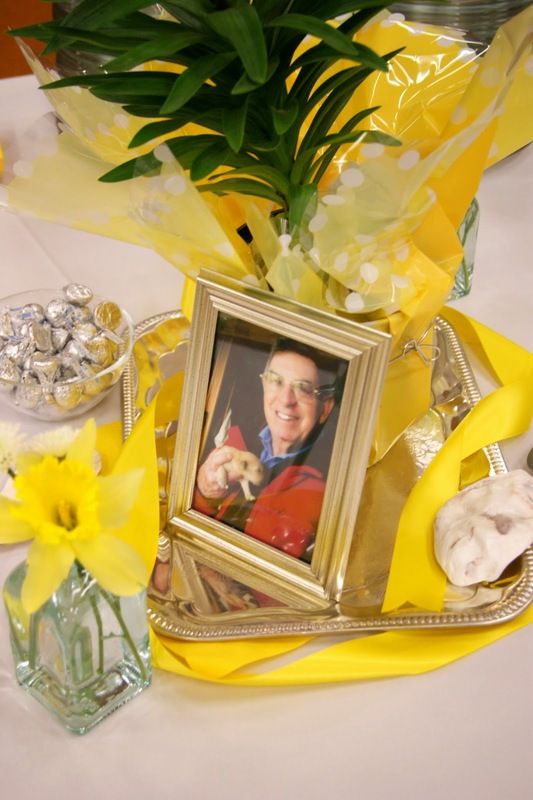 I purchased yellow daffodils and a few white colored flowers to make small arrangements on each table. Mary Lu brought in lots of greenery from her garden. Clear glass bowls held the M&M's candies and Hershey's Kisses. 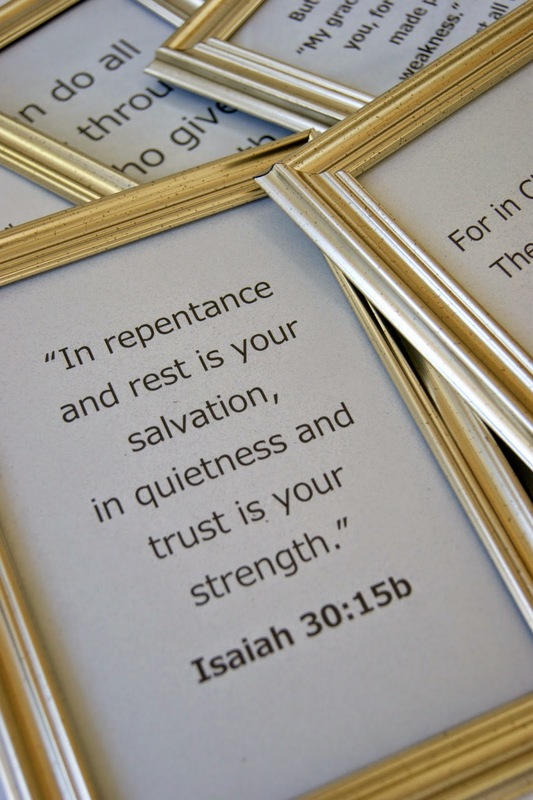 Silver trays were placed in the center of the table with the picture and scripture frames. 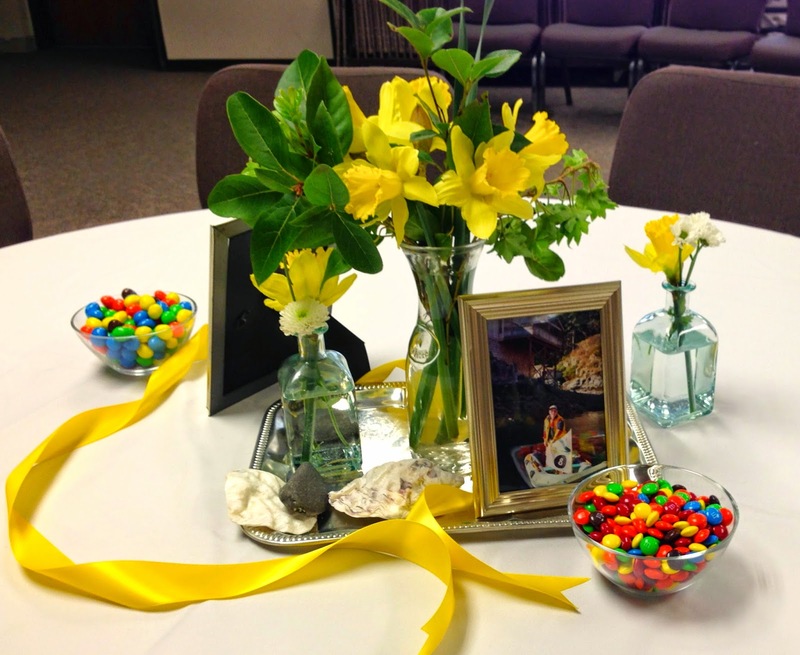 A few shells and rocks from Camano Island were set out and big, thick yellow ribbon was placed on each table. 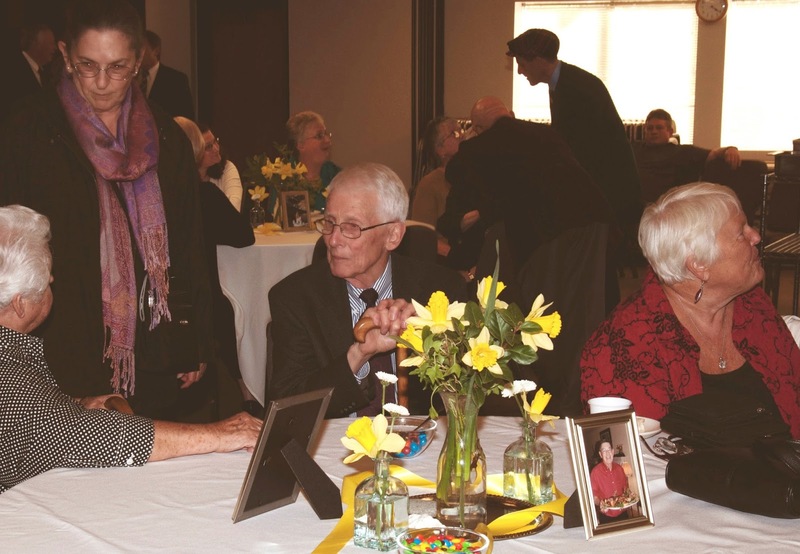 Some tables had the Easter lilies on them, others had yellow and white flower arrangements. The yellow brought great color into this space. We placed 4 tables for food in the center of the room. A dozen 'sit down' tables around the room along with chair groupings made the room seem full, but not over crowded. 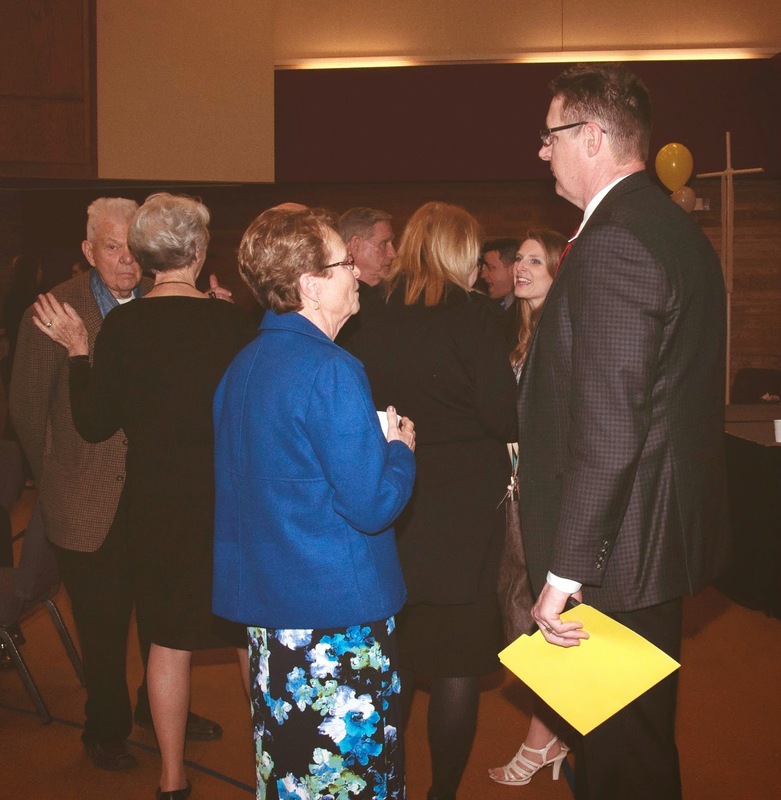 During the reception, the immediate family all stood together in the front of the room. 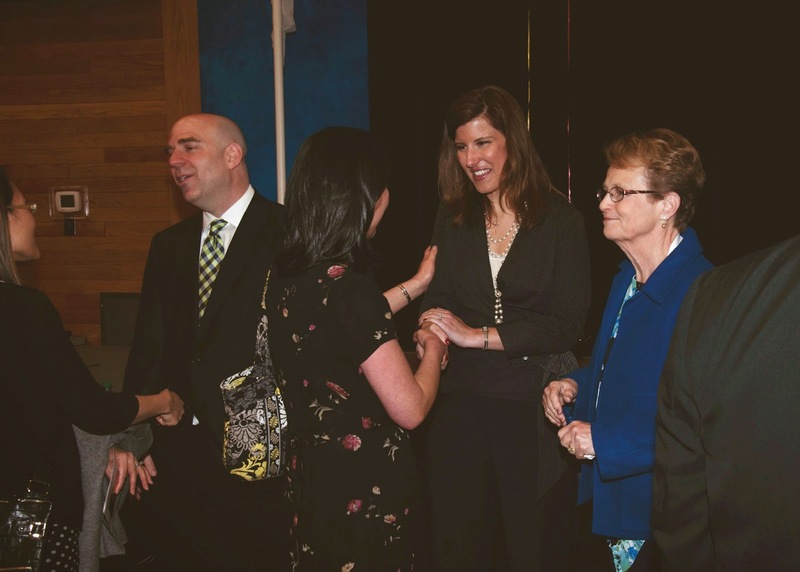 We hadn't planned on a receiving line, but it sort of just happened that way. If I were to do it again, I would have had the family stand on the far end of the room. This would have allowed all the guests to enter the room, instead of standing in line down the hallway...not knowing why they were in line. Here's a few little touches that allowed the day to go a bit smoother. Having one close friend oversee the guest book helped a lot! 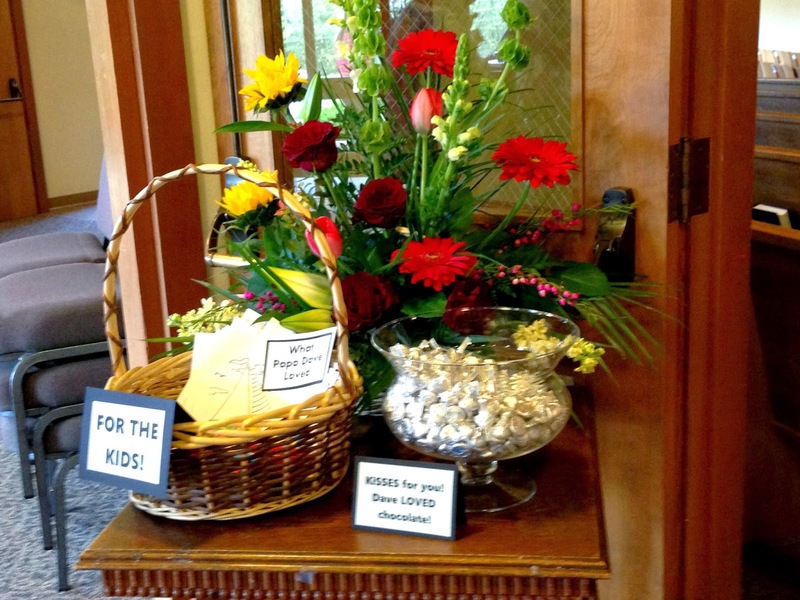 We put the guest book on the church's welcome counter, allowing the sign-in process to be easier (no bending down). We also moved the counter outside the church's front doors. This freed up the space inside the church's lobby area. 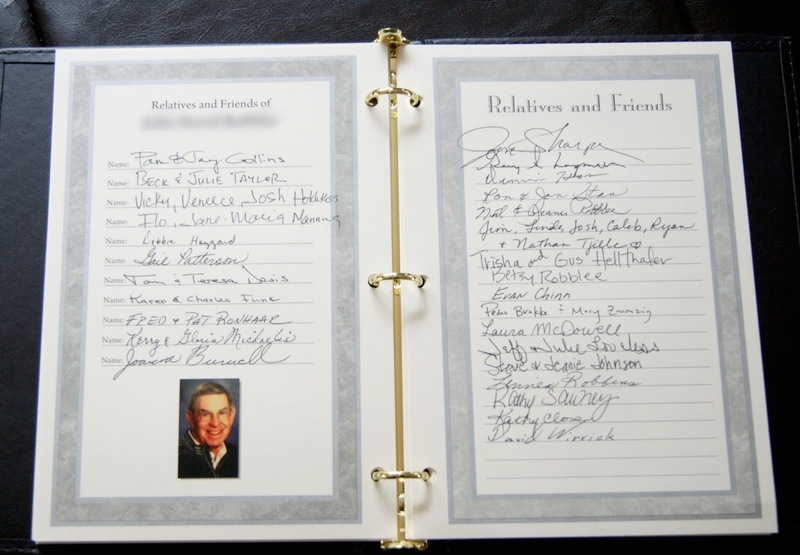 The family stood outside the church doors greeting guests as they came, asking them to sign the guest book. 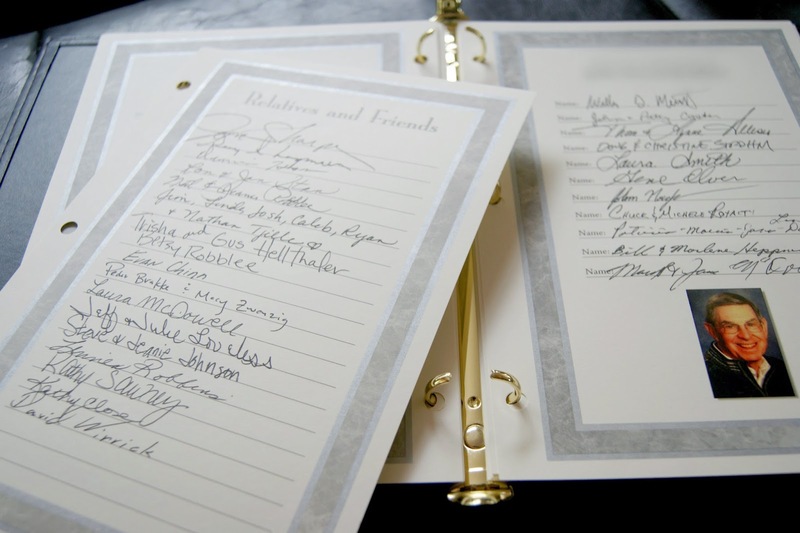 Another great thing...a 3-ring binder guest book! This allowed pages to be removed. We had 3-4 pages out so multiple people could sign the guest book at once! No waiting in a long line to sign. 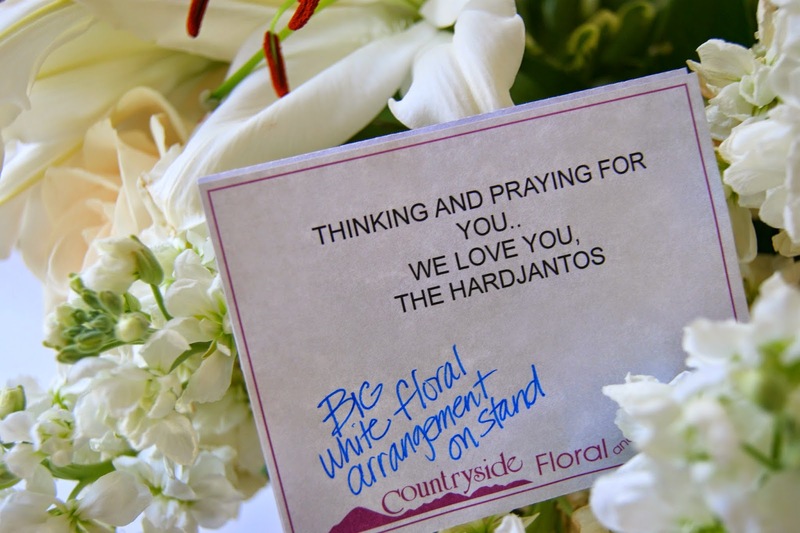 Many loved ones couldn't join us at the service, so they sent flowers to the church. My father-in-law was very active with many groups and on various boards as well...they all sent arrangements, too. Beautiful, large flowers came pouring in! I hadn't planned on this. Next time, I would assign someone to sit by the doors and sign for the arrangements. After the service, some of the large arrangements were left for the church, others were taken to my mother-in-law's home. My friend, gathered up all the cards from each arrangement, placed them in one envelope and stuck them in the back of the guest book so we could find them. 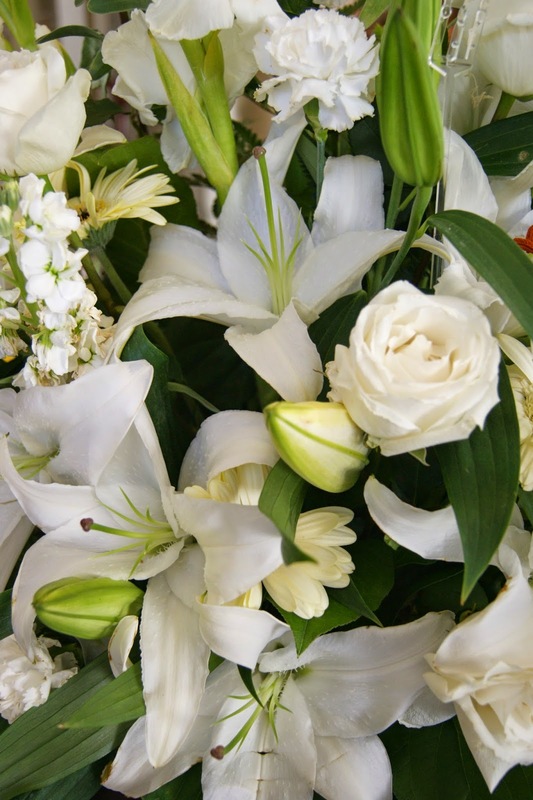 Easter lilies that I had purchased were sent home with family members and special friends. I wasn't sure just how long the actual service would be. 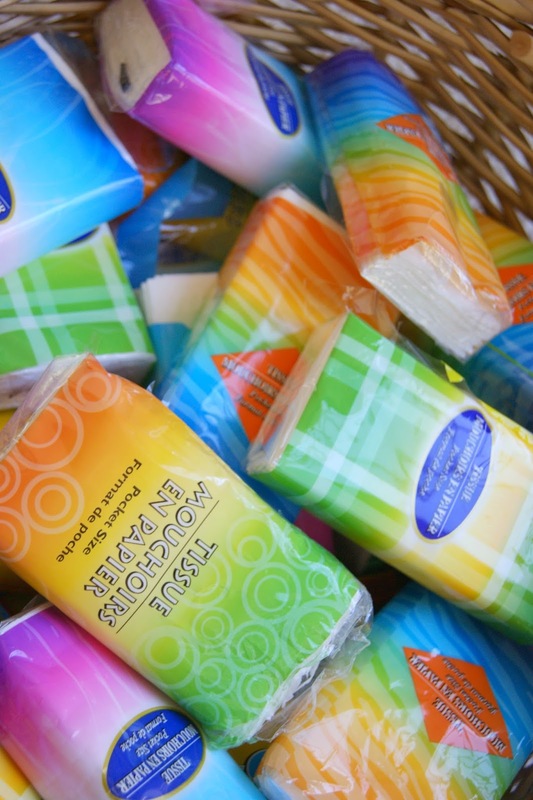 I wanted to prevent emergencies, so I put little tissue packs around the church rows. 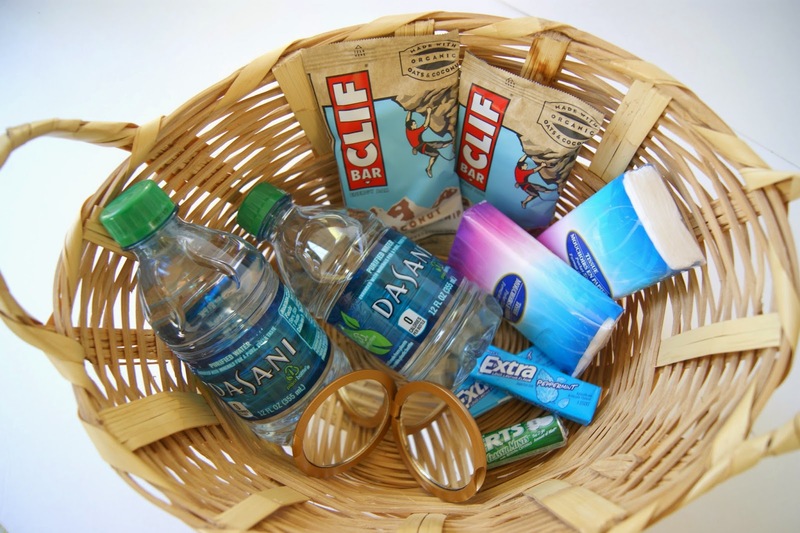 I also made a little basket of supplies to have under my mother-in-law's seat. 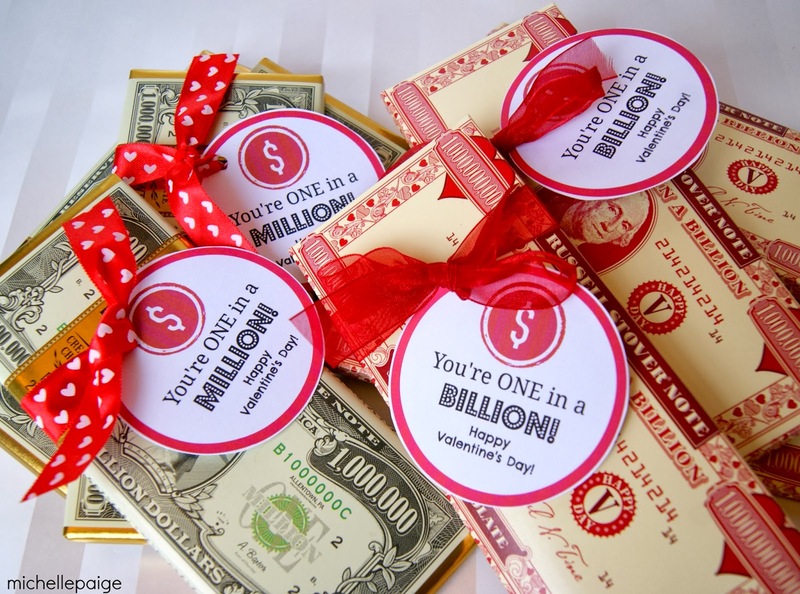 Tissues, water, gum, mints, granola bars (for the grandkids), etc. I even included a mirror. The service was on a Saturday, so children attended, along with the young grandkids in the family. 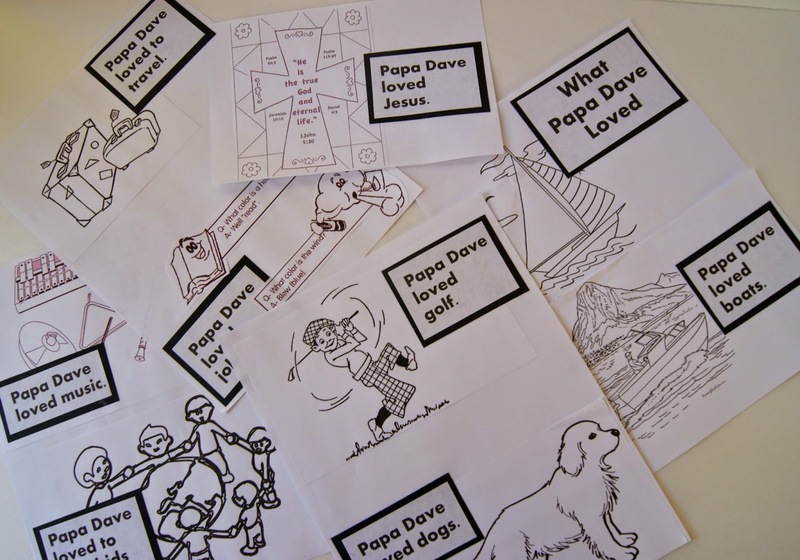 We offered childcare for ages 4 and under and I made special coloring books for the kids sitting in the service. 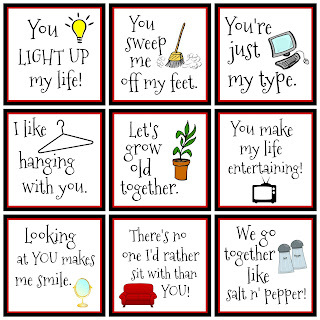 I made these the 'old school' way (aka cut and paste), not digitally, so I can't share a link. I simply found coloring pages of things my father-in-law loved. 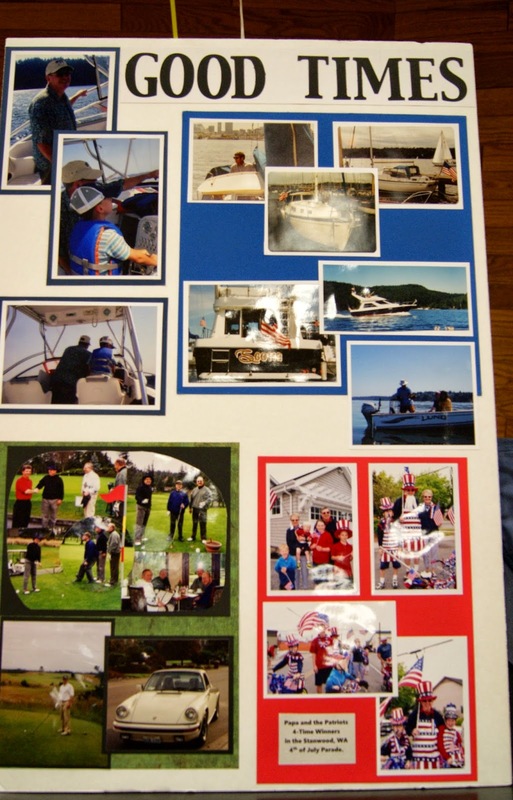 Boats, music, golf, dogs, travel, jokes, Jesus, children, etc. I printed out the pictures and shrunk them to fit a half page size. I added titles on each one and photocopied them into little books. 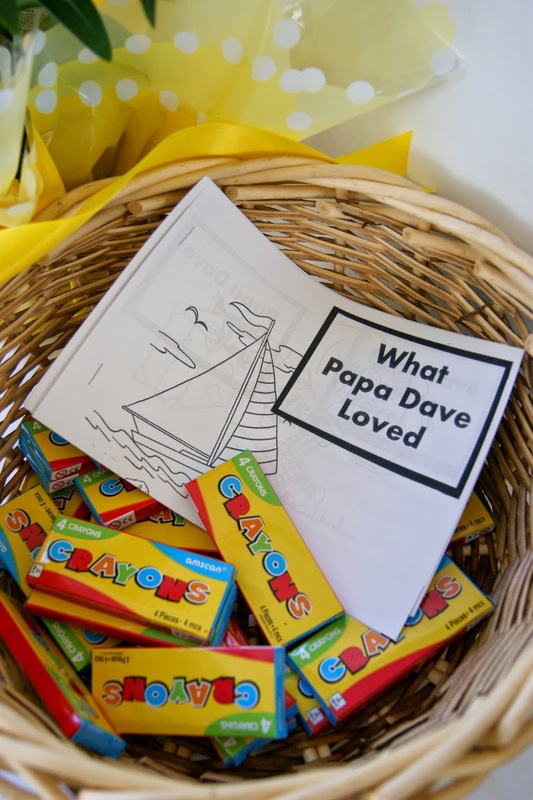 The books were placed in a basket at the entrance with small boxes of crayons. My nephews enjoyed the coloring books, but if I did it again I would put a few puzzles and mazes in the books as well. My father-in-law had some unique taste in clothing. 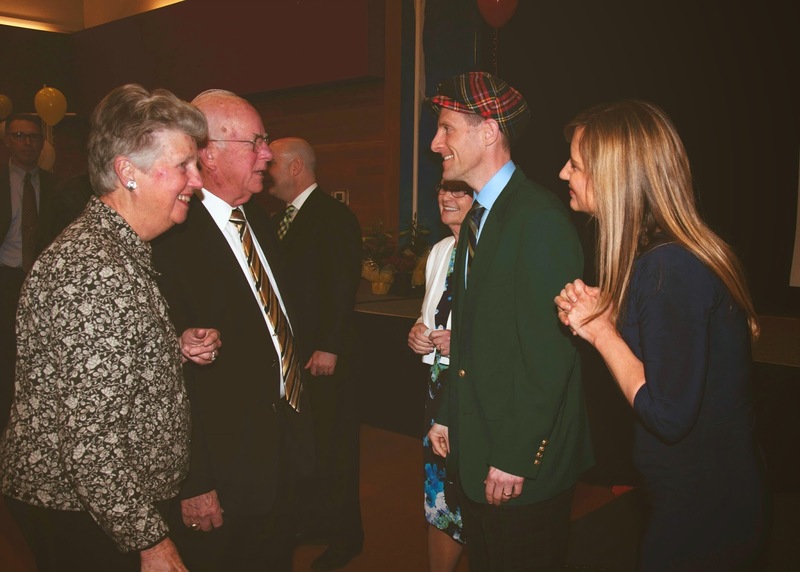 He was known for wearing lots of plaid, including his 'famous' plaid pants, hat and green jacket. 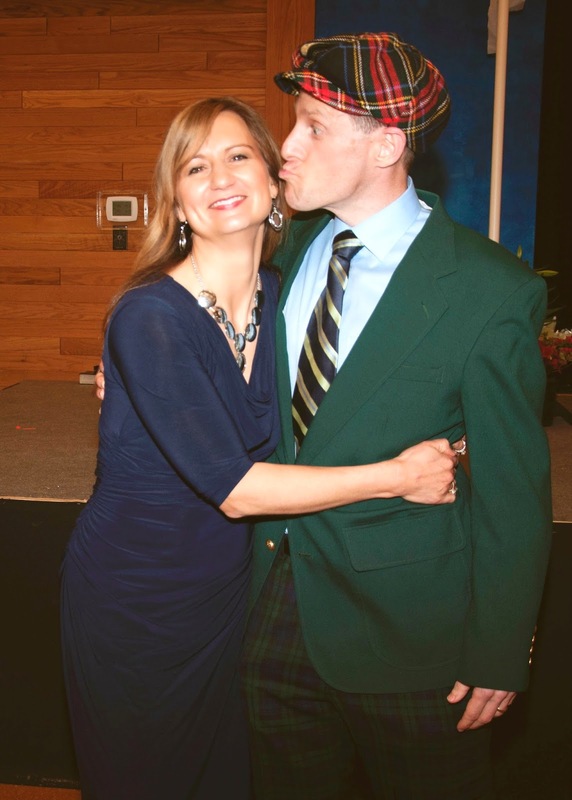 My AH (awesome husband) decided that he would put on his dad's clothes for the reception. Not only did this bring smiles to many, but some friends had to give him a double-look, thinking he was his dad standing there. We are fortunate to have a photographer in the family. Andy's cousin Sarah, captured some great shots for us. Always ask someone to take pictures for you--even multiple people! 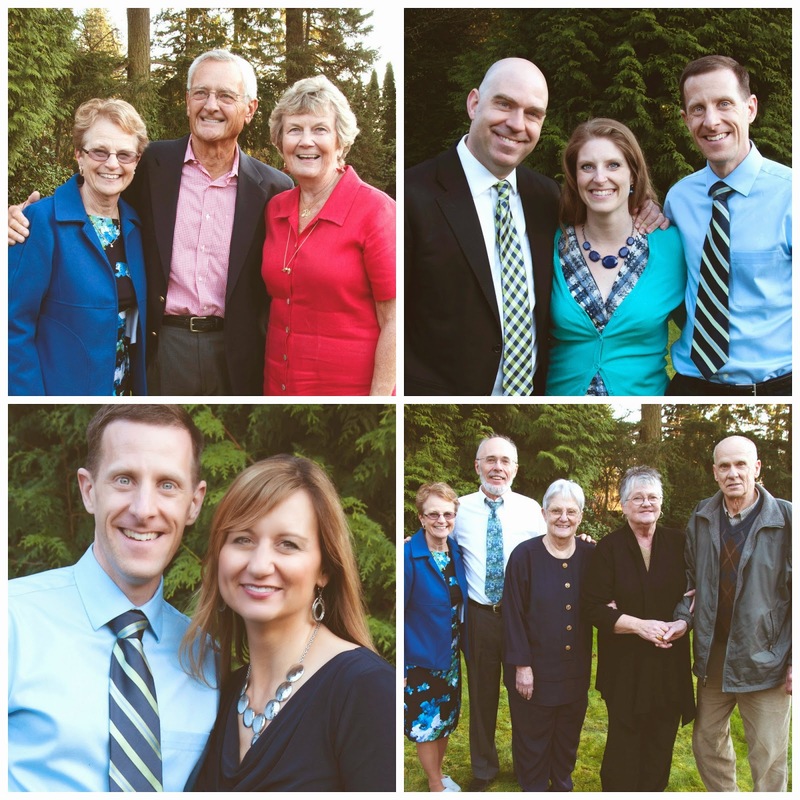 None of us had time or even thought about taking pictures during the service and reception. We were too busy living in the moment. After the service, my sister-in-law hosted dinner for family members in town. It was a perfect time to get some great family pictures. We all agreed that my father-in-law's life was indeed celebrated! What an amazing man, missed by so many. 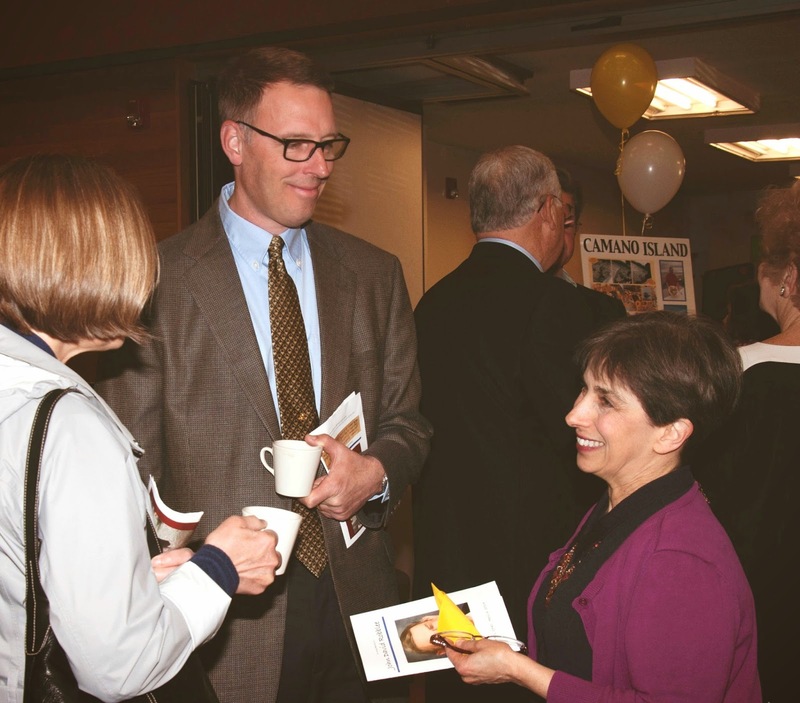 Thanks for your well organized blog post of the Celebration of Life you prepared. I am working on similar for my dad and your ideas are helpful. Hope I can pull off some of the best ideas. or modify them. Thanks again. So glad this post was helpful. Thank you for your comment. Beautiful tribute to your father in law, wonderfully done! 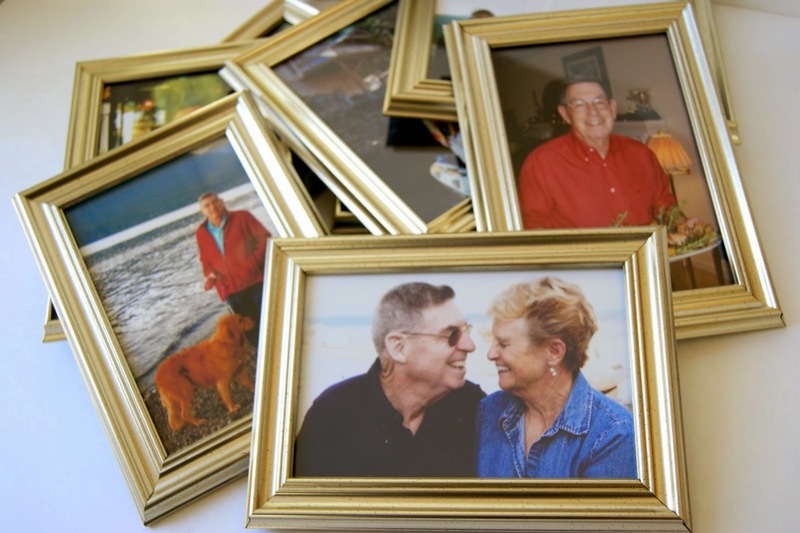 Thank you for sharing this beautiful Celebration of Life for your father-in-law! Truly inspirational! I realize this was awhile ago but I appreciate the helpful tips and info. My Mom passed 12/30/18 and her service is this weekend 2/16/19. It's all happening 4 hours from me so My family.is travelling there. Reception is not at the church. However. 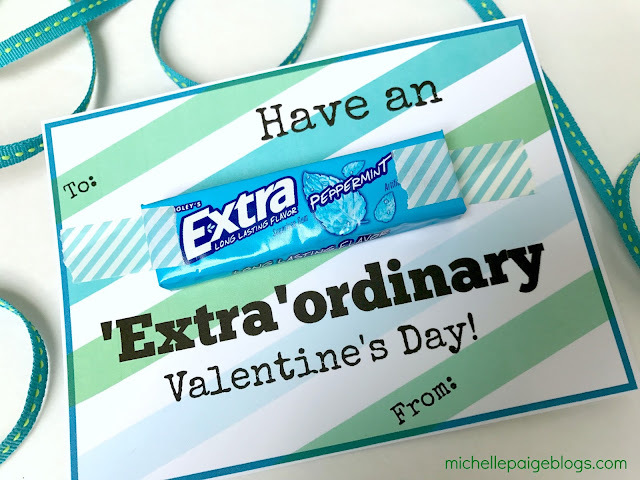 With your helpful blog I feel more confident that I can make it special for my Dad and siblings who come in that weekend. THANK YOU AND GOD BLESS!! 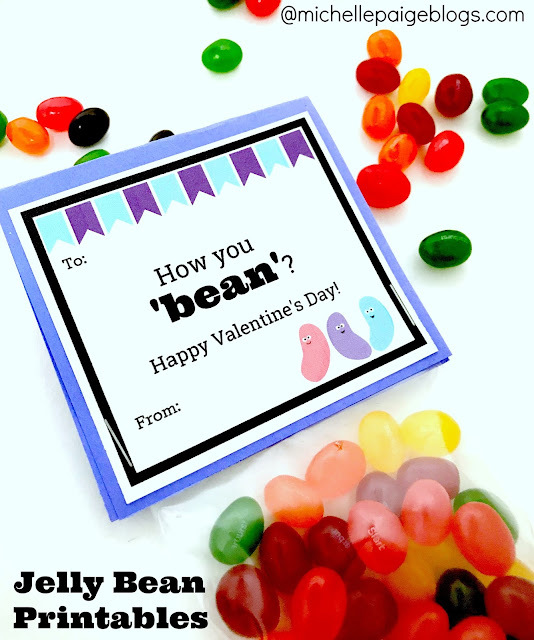 Thank you for your sweet comment. Love to you as you honor your mom.